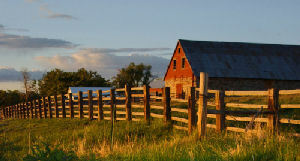 Rural psychology has very few major studies concerning practice in rural environments and small communities. Practitioners face some very different problems from their more urban counterparts. Rural practice presents important yet challenging issues for psychology, especially given North American and international distribution of populations, levels of need for psychological services in rural settings, limited availability of rural services, and migration of rural residents to urban centers. In our current times of crisis nationally and internationally with increased levels of stress, anxiety and concern about terrorism, it is critical that mental health professionals and first responders in rural areas become aware of recent research, training and approaches to crisis intervention, traumatology, compassion fatigue, disaster mental health, critical incident stress management, post-traumatic stress and related areas in rural environments. Land use, control of water resources, cheap food policy, use of chemicals and pesticides, animal rights, corruption in food marketing and distribution, land appropriation for energy development, quality of life, rural America’s declining share of national wealth, problems of hunger, education and rural poverty among rural populations, farmers and ranchers. Direct service issues include the need to accommodate a wide variety of mental health difficulties, client privacy and boundaries, and practical challenges. Indirect service issues include the greater need for diverse professional activities, collaborative work with professionals having different orientations and beliefs, program development and evaluation, and conducting research with few mentors or peer collaborators. Personal issues include limited opportunities for recreation, culture, and lack of privacy. Describe how disasters affect people in rural environments differently than those in urban areas. Explain the importance of rural culture, ethnicity and cultural values in responding to critical incidents, crises and disasters in rural populations. 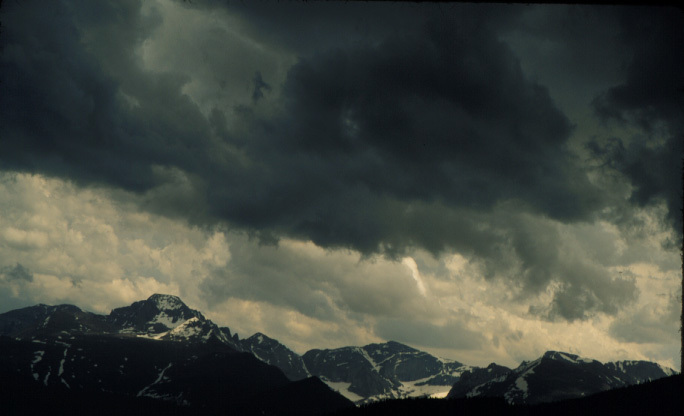 Identify and describe the phases of disaster and how they affect rural areas. Explain BASIC ID and how this multi-modal approach is used to help identify areas of concern for assessment following disaster and critical incident traumas. Identify and describe the challenges associated with mental health responses in rural areas and how to meet them. CONCLUSIONS: WHO ARE COUNTRY DOCTORS? George Doherty resides in Laramie, WY where he founded the Rocky Mountain Region Disaster Mental Health Institute, Inc. He is currently employed as the President/CEO of this organization and also serves as Clinical Coordinator of the Snowy Range Critical Incident Stress Management Team. He has been involved with disaster relief since 1995, serving as a Disaster Mental Health Specialist with such incidents as the UP train wreck in Laramie, Hurricane Fran in North Carolina, the Cincinnati floods in Falmouth, KY and Tropical Storm Allison in Southeast Texas. He served as Supervisor for Disaster Mental Health for flash floods in Ft. Collins, and spent a month as the Red Cross Disaster Mental Health Coordinator for western Puerto Rico in the aftermath of Hurricane George. He has also published numerous articles in disaster mental health and traumatic stress publications and served as Guest Editor for 2 Special Editions of the journal Traumatology (1999 & 2004). He served as an officer in the US Air Force and was an OTS instructor, squadron commander and other positions. Additionally, he served 11 years involved in Air Search & Rescue with Civil Air Patrol in WY as Squadron Commander, Deputy Wing Commander, Air Operations Officer, and Master Observer. Certified Instructor with the Wyoming Peace Officers Standards and Training (POST). He has extensive experience conducting CISM debriefings with first responders and others and is a member of a national crisis care network, providing assistance to companies and other organizations following critical incidents involving sudden deaths and similar traumatic events. He is a Licensed Professional Counselor in private practice and has been an adjunct instructor for a number of colleges, including Northern Nevada Community College, Warren National University and the University of Wyoming. Organizational memberships include the American Counseling Association, Voting Associate Member of the American Psychological Association, American Academy of Experts in Traumatic Stress (AETS), Association of Traumatic Stress Specialists (ATSS), Traumatic Incident Reduction Association (TIRA), Certificate of Specialized Training in the field of Mass Disaster and Terrorism, Wyoming Department of Health Emergency Preparedness Advisory Committee; Research Advisor and Research Fellow: American Biographical Institute (ABI), Editorial Advisory Board Member and Book Reviewer: PsyCritiques (APA Journal), Life Member of the Air Force Association, and Life Member of the Military Officers Association of America, Life Member: Pennsylvania State University Alumni Association, Alumni Admissions Volunteer - Pennsylvania State University. Publications include: .Crisis Intervention Training for Disaster Workers: An Introduction. ; Editor and contributor for the Proceedings of Rocky Mountain Region Disaster Mental Health Conferences (2005, 2006, 2007, 2008). Served as Guest Editor for Special issues of the journal Traumatology on Disaster Mental Health (1999) and Crises in Rural America (2004); .Cross-cultural Counseling in Disaster Settings. - Austral-Asian Journal of Disaster and Trauma Studies (1999). Published reviews include:Understanding Oslo in Troubled Times; Responders to September 11, 2001: Counseling: Innovative Responses to 9/11 Firefighters, Families, and Communities; Genocide: A Human Condition? Stress Management, Wellness and Organizational Health., .Leadership Competency and Conflict. ; Leadership: Lessons from the Ancient World - all in PsyCritiques. 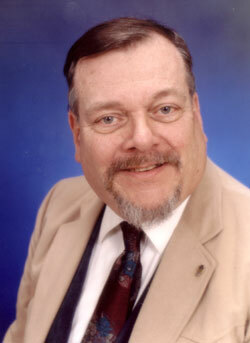 Conference Director for annual Rocky Mountain Disaster Mental Health Conferences 1999 -present. Additional past positions include: Masters Level Psychologist – Rural Clinics (State of Nevada), 1980 – 1986; Veterans Counselor (VA Contract) – 1980-1986, NV; Counselor – pre-delinquent children and families – CORA Services (Philadelphia, PA).1972-1975; Program Coordinator - Community Action Programs (EOAC, Office of Economic Opportunity – Waco/McLennan County, TX) 1968-1971. Print out your own certificate! This course counts as a 'regular' (not self-study) course by the CA BBS!